As an artist working in today’s new normal of self-released recordings, it’s challenging enough to guide your music from concept to final mix, now you’ve got to find the right situation for mastering – a key decision that can make or break your project. 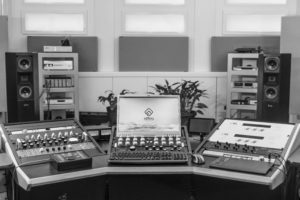 It’s especially daunting to choose a mastering engineer when this critically important final step is offered by practically every engineer with a workstation. Unless you’ve experienced the art of mastering at its best, it’s hard to distinguish one offering from another. To be candid, there are pitfalls. Mixes are often dinged when mastered by less experienced hands, or when mix engineers are pushed to tack mastering onto the end of the mix. The majority of mix engineers don’t have the gear, environment, or distance from the work for proper mastering. A great mixing engineer is not always a mastering engineer. The two skill sets and perspectives are very different. I’ve seen these syndromes too many times when clients come to us for a remastering because something was lost right at the last step. That loss doesn’t happen here. “Hey Alan, I love these masters, I love hearing greater individual and group intention of the musicians. I love noticing more now how they played certain things. Tonally and spatially, it feels brave to me. Sonically, your masters feel to me like a strong statement, in a good way. Reactions like these are the product of a lifetime of deeply focused mastering experience. I feel fortunate and privileged to be the recipient of messages like these and it makes my work passion, at times, a true joy. I certainly get that artists face tough budget realities and I will work with you accordingly, open to the unique needs of your project.What I’m offering at a competitive indie rate is the experience of having worked on close to 10,000 tracks in my career, a stunningly clear and warm analog mastering chain, and a history of prestigious, ground-breaking, successful work. This level service can go for $200 to $500 a song, far above my indie track deal. You will have direct contact with me, not just a booking manager or front desk person. Part of the responsibility to the art of mastering is having direct communication with the artist. Without this communication, a project won’t reach its fullest potential. I hope that we will work together and make your music sound the way you meant for it to sound! 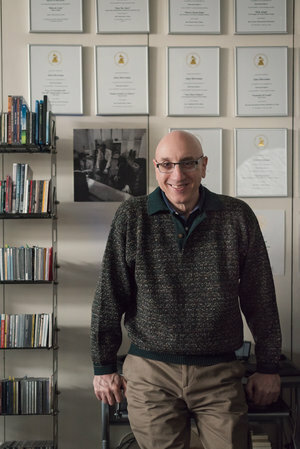 Alan Silverman is one of the most respected mastering engineers in the record industry. To date, he has mastered close to 10,000 tracks and garnered credits on 80+ Grammy-nominated and winning records. His work spans all genres of music from dancehall to symphony hall. 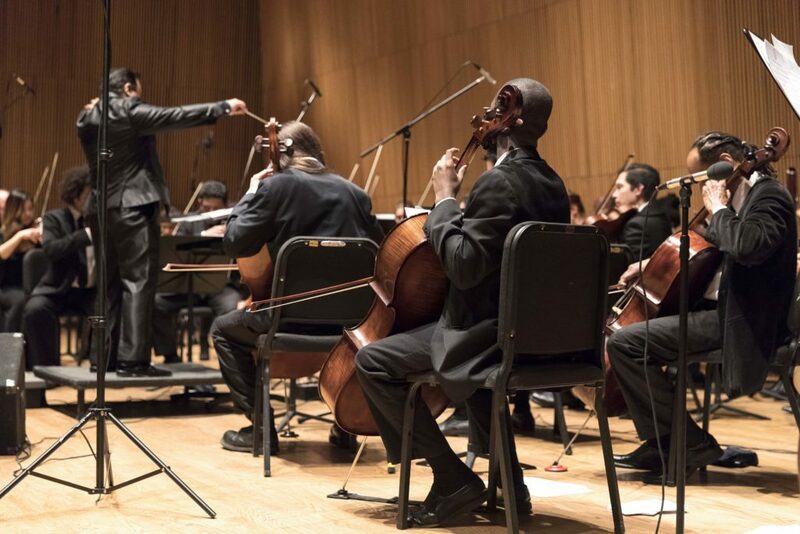 Known for his dedication to excellence in recorded music, he has earned career-long trust from many of the world’s most accomplished musicians. Since arriving in New York from Brazil in 2009, Vitor has been busy in audio production, recording, mixing, mastering and videography. 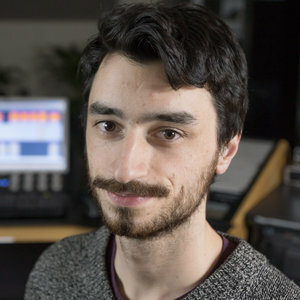 He was the lead mixer of Live Mix at WERS 88.9 FM Boston, where he worked with diverse artists including James Iha, Tegan and Sara, First Aid Kit, Delta Rae, Ra Ra Riot, Milo Greene, Dawes, and many more. 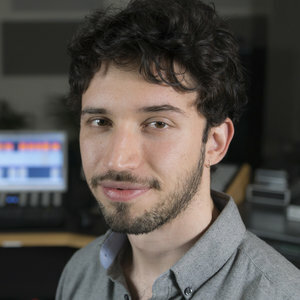 After receiving his master’s in Music Technology from NYU, Vitor joined the team at Aerial Sound. As a musician himself, he brings a very personal artistry and aesthetic to mastering. Besides working at Aerial Sound, he teaches audio production and works as a freelance recording and mixing engineer in NYC and abroad. Mike Tierney is a Grammy-nominated mixer and producer based in Brooklyn. With his broad background in jazz, composition, arranging, and music technology, he naturally bridges the gap between the art and technology of music, helping creators achieve their sonic goals on their terms. Mike’s work has spanned genres including jazz, folk, contemporary classical, indie rock, and everything in between. 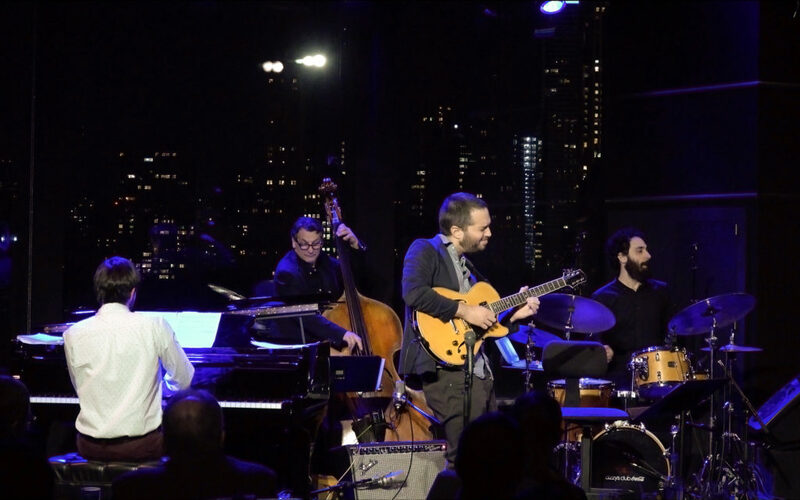 His list of client credits includes world-class greats Medeski, Martin & Wood, Pharaoh Sanders, Stanley Jordan, Judy Collins, Nobel Prize winner Julia Wolfe, Nels Cline, Alarm Will Sound and many more. 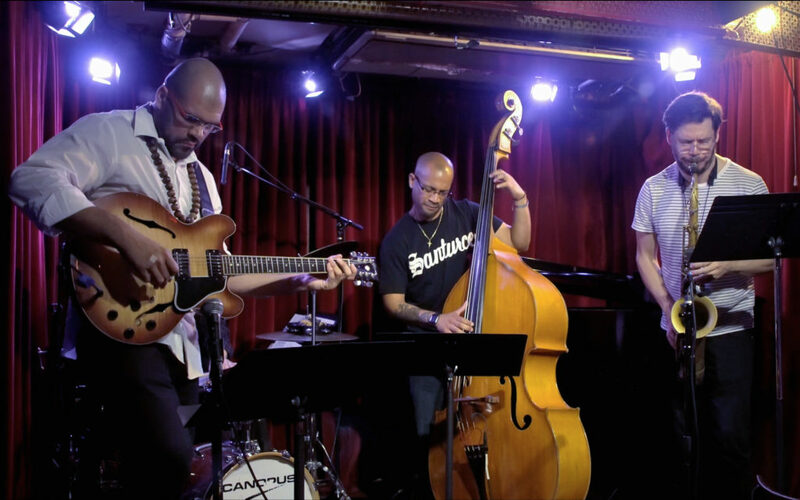 Mike is also an accomplished bassist and multi-instrumentalist, and holds a master’s degree in Music Technology from NYU. Grace Sandford is an electronic music producer, DJ, and mastering engineer. 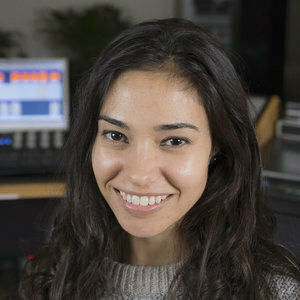 She earned her BFA from the Clive Davis Institute of Recorded Music in the Tisch School of the Arts at NYU, where she studied audio engineering, music business, and music journalism. 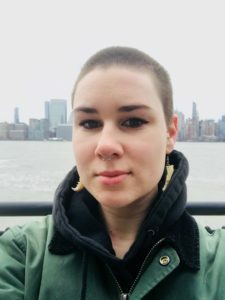 She’s worked in many facets of the music industry, including publishing, artist management, music journalism, PR, and in the live music industry at Webster Hall and The Windish Agency. Grace’s musicality and eclectic taste are a product of her diverse training—as a dancer, percussionist, and singer. This range of skills, together with her passion for club culture, dance and electronic music have helped to foster her sensibilities as a mastering engineer. A great master makes the difference between music that sounds ‘good enough’ and music that truly touches, moves and inspires the listener. 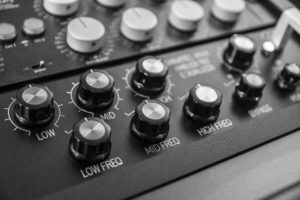 In the right hands, a mix can be highly elevated in the mastering phase. 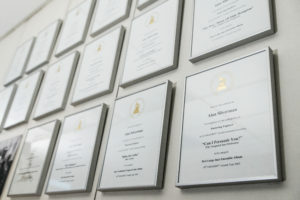 At Aerial Sound, we have a track record that has earned high praise from many of the world’s most accomplished artists. We accommodate all release formats and enhance mixes to sound empowered, personal and detailed through real-world speakers and headphones. We use a combination of analog and digital gear, and as a hybrid studio, offer the best of both worlds for your masters. World-class mastering for Digital, Streaming, YouTube, CD, LP, HD and Mastered for iTunes. Audiophile analog equipment, beyond-state-of-the-art signal chain. Stereo and multi-channel monitoring tuned to the highest standards. Cutting edge tools that are not available on the open market. Passionate, experienced, and dedicated engineers. Click here to see who we’ve worked with. In 2018, a show or concert production “didn’t happen” if it wasn’t captured beautifully on video, with a high-quality audio mix that goes beyond the microphones built into DSLR cameras. Aerial Sound arrives before the band, mic’ing the stage for the best capture, and bringing video personnel who can highlight your performance in HD. In the post-production phase, whether it’s color treatment or mixing, we have a top team of staff and freelancers who can make any artist look and sound their best, in venues large or small.